People | Westron Sales Inc.
Our sales personnel offer over 40 years of proven experience in the electrical, automation and electronics industry. Our customer relationships are based on responsive and technical sales personnel that bring solutions to customers in a very efficient manner. 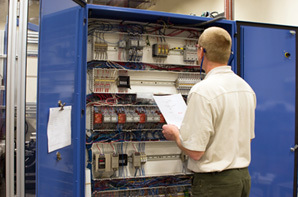 Our educational backgrounds include electronics, electrical engineering and business management from major universities. With a proven track record of success within the industry, we would like to share our common sales goal; commitment to exceptional growth. We look forward to the opportunity to meet with you and discuss how we can contribute to your company’s success.